Inspiration comes easy when you're inspired where you work. 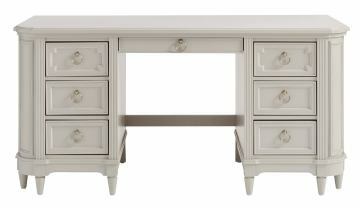 The captivating Clementine Court Pedestal Desk is ready to spark the imagination with six English dovetailed drawers ready to be filled with pens, markers, pads and other creative tools. 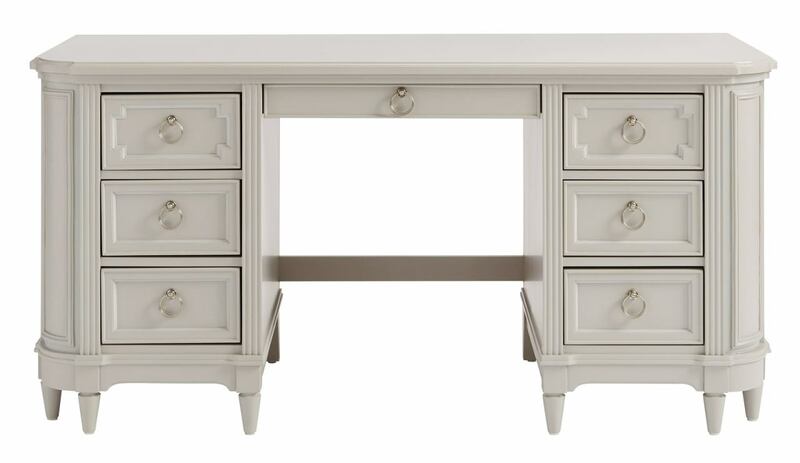 An additional center drawer provides even more space for homework essentials. Available in a luxuriant Frosting or Spoon finish. This Clementine Court Collection item features a video.